In 2006 Germany hosted the Men's World Cup Soccer tournament. As a native German, Jens-Peter Jungclaussen, was surprised that non of the German companies in the Bay Area were celebrating this event. 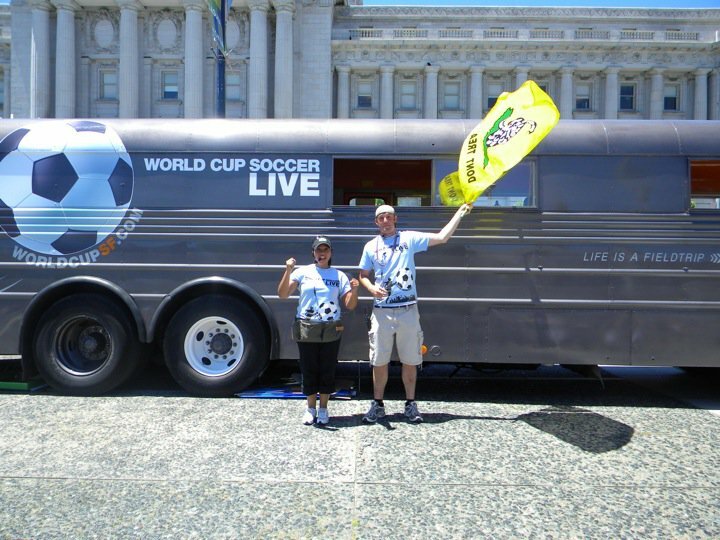 Determined to change that, he took it upon himself to secure a permit from the San Francisco Recreation and Parks Department and hosted the first free World Cup Soccer viewing event in Dolores Park, San Francisco. With Inke's credit card and small donations from the German Consulate and the German American Chamber of Commerce, he single handedly organized one of largest events to take Place in Dolores park during that time. 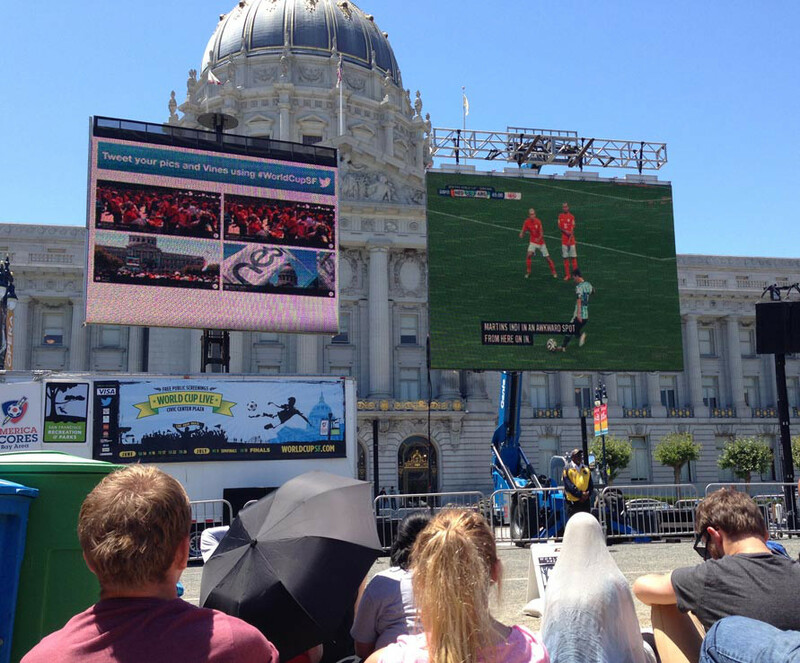 Due to it's growing popularity every World Cup Soccer event thereafter has been hosted at Civic Center. Since 2010 Jens-Peter has been co-producing the events along with San Francisco's Recreation and Parks Department, and America SCORES Bay Area. 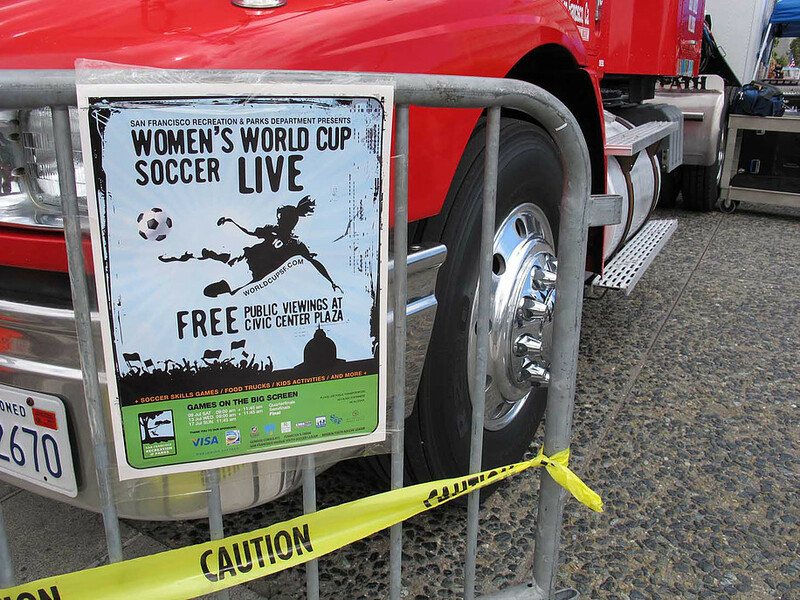 Starting in 2010 InkëDesign has created all the marketing collateral for the World Cup Viewing Events as well as the 2012 Olympics. Originally we used the three colors in the SFRPD logo - black, green and blue, took the girl swinging from a tree and converted that idea into a soccer-player silhouette kicking the ball into the camera. It clearly communicates the park's identity, and is dynamic, engaging and fun at the same time.